Questioning yourself about your vocation…? 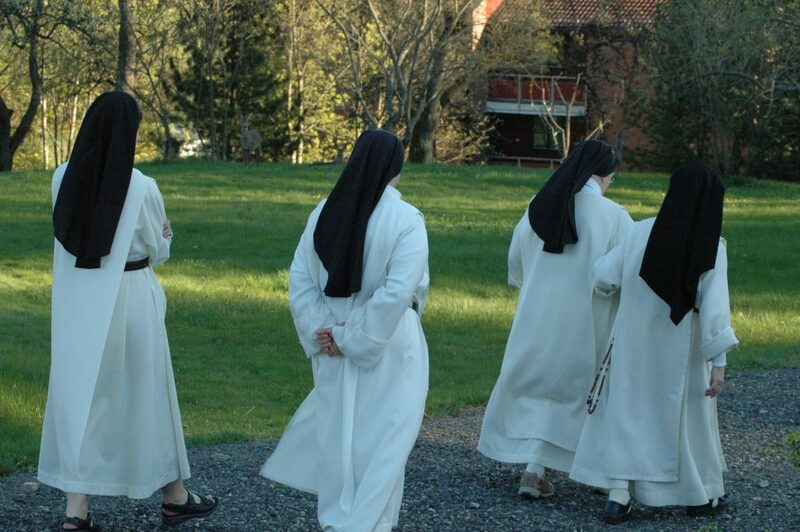 Wondering how one becomes a nun…? The essential requirement is to be called by God and to be seeking God. 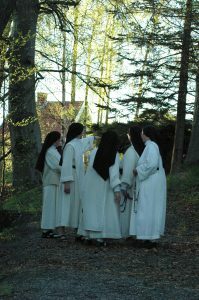 It is God himself who calls women to live in community according to the Evangelical Counsels of poverty, chastity and obedience. Certain natural qualities are required, namely physical health, psychological maturity proportionate to age, good judgement, open-mindedness and suitability for community life. We expect candidates to have completed some education or training. Since the monastery is in Norway, you will be helped to learn the Norwegian language. 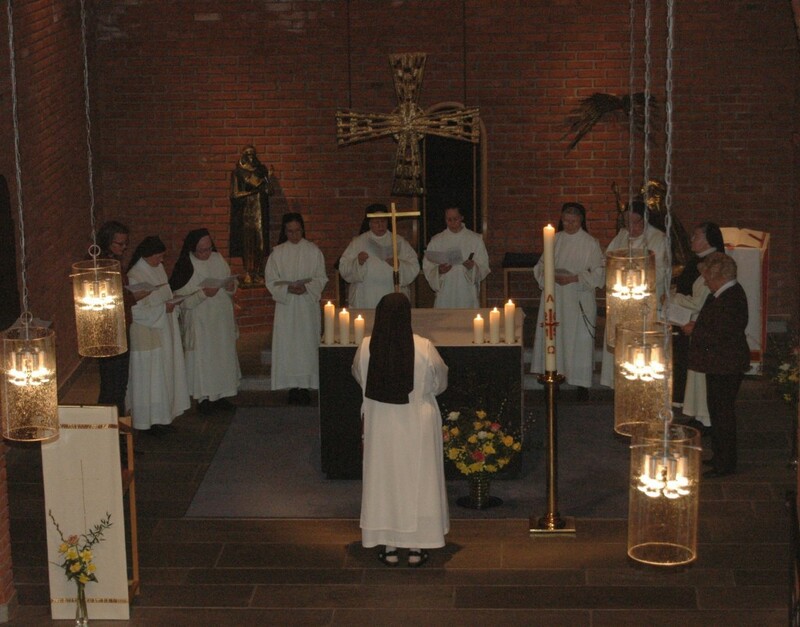 Some knowledge of French is welcome, because we belong to the worldwide Dominican Order and are a part of the French federation of Dominican monasteries. 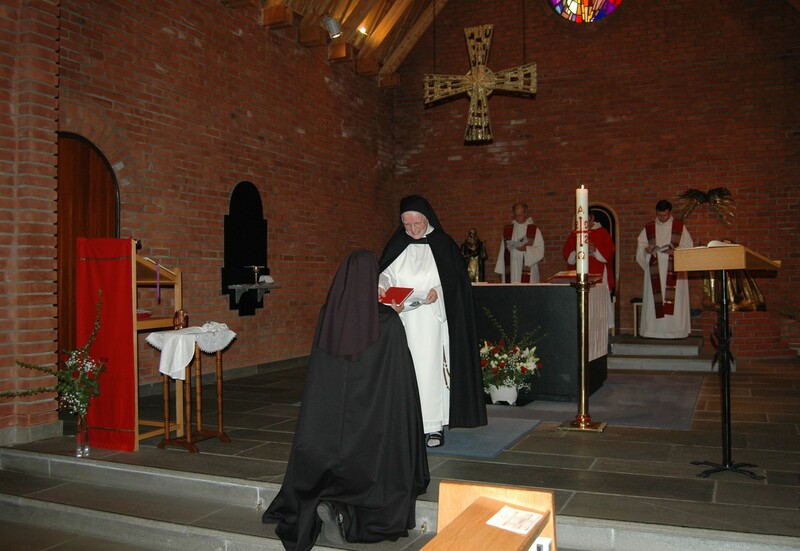 Could you be called to follow Christ in a contemplative life at the heart of the Order of Preachers and the Catholic Church in Norway? Seeking one’s vocation is, simply put, to seek one’s home, the place in this world where one truly belongs. Courage is needed to embark on such a journey. Fortunately, we are never alone. The Lord walks with us on the way, and companions, brothers and sisters, are given us as helpers and guides along the road. The community has an central place in the Dominican life. Here, we are challenged and confirmed, moulded and formed into the person we are called to be. Here we learn to receive and give love and mercy – to give more love than we thought we were capable of, and to receive more mercy than we thought we needed. If it is our vocation, this is where we will be truly happy and at peace. Together, we seek God in prayer, in silence, through reading and study, in our work and in our interaction among ourselves and with those the Lord sends our way. Together we listen to God’s word and seek to respond; together we turn our eyes to the Lord and fix our gaze on Christ in contemplation. 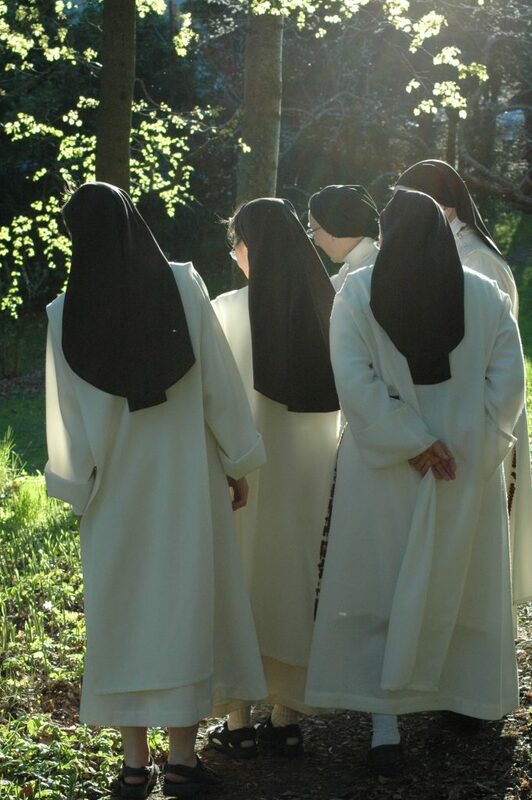 In the community, each sister gradually finds her own particular voice, and can enrich the others with her particular gifts, add her particular note to the common symphony of praise. Augustine alludes in his Rule verse 6 of Psalm 66 (67): Deus qui inhabitare facit unanimes in domo, taking it to speak of God who lets us dwell together in unanimity. The verse is translated into English (probably more correctly) however: God makes a home for the lonely. Lunden Kloster is a home for us – could it be a home for you? ‘You are important to me, I love you, I am counting on you’. Jesus says this to each one of us! Joy is born from that! The joy of the moment in which Jesus looked at me.